I began reading Suzanne Collins' novel The Hunger Games, as it turned out, a few day before Mom passed away. It took me awhile to get back to it but I picked it up again a coupl'a nights ago. I thought it was a most excellent and enjoyable read. Maybe not as rich in allegory as it could have been but, I'm willing to defer final judgment on this series until I finish the third book. In case you haven't had the pleasure of discovering it yet, The Hunger Games takes place in a distant future where what was once North America collapsed into ruin and from the ashes arose a cruel dictatorship called Panem. It's a place ruled by The Capitol: a megalopolis populated by a decadent people who do nothing but eating, drinking, getting plastic surgery and probably getting laid. They live at the expense of the peons of twelve districts who provide all the necessities like fuel, food and power. To keep the districts from getting uppity (and also as reminder of who's in charge following an age-old rebellion) the Capitol makes each district send one boy and one girl to the yearly Hunger Games: a combination fashion show, popularity pageant and gladiator battle from which only one can emerge as victor. 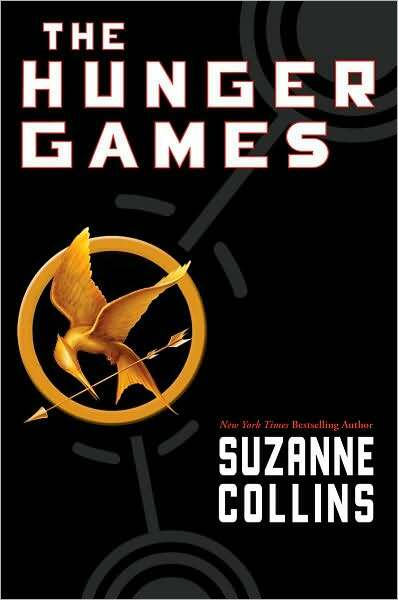 It's now the seventy-fourth Hunger Games and sixteen-year old Katniss Everdeen steps forward to play for District 12 in place of her younger sister (picked by lottery, in something of a nod to Shirley Jackson). That's all I'll say for the book, which I decided I wanted to read before the film adaptation comes out next month. For a young adult novel, it's rife with plenty of plot, grisly violence and budding romance that never gets too mushy. Here's hoping the movie is even half as good!